MUMBAI: David Guetta has returned to Ushuaïa Ibiza for the seventh season this year. BIG by David Guetta will takeover Ushuaïa Ibiza every Monday from 4 June to 24 September, and just as the name suggests, massive productions are in store with a huge lineup to match. 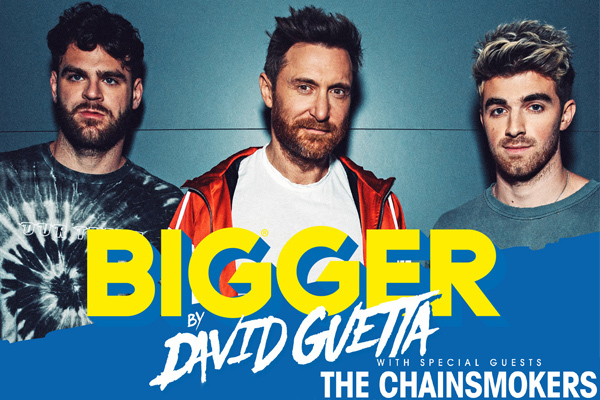 This year David Guetta will be joined by no other than one of the biggest forces in dance music today, The Chainsmokers, for two special shows on 25 June and 16 July. The Chainsmokers mix electronic, pop, indie and progressive into chart-topping sound that spawned hits like Don’t Let Me Down, Closer, and the collaboration with Coldplay Something Just Like This racking up over five billion global streams and seven multi-platinum singles. Gracing Ushuaïa Ibiza’s famous stage for just two extraordinary nights, fans can be rest assured they are in for an unbelievable celebration. Aside from playing every major festival on the planet - from Ultra Music Week to Coachella - the trailblazing twosome have been nominated for and won for multiple awards, including the Billboard Music Awards for ‘Top Dance Song’ and ‘Top Dance Artist.’ Their debut record Memories...Do Not Open arrived in 2017 and landed in the top of the Billboard charts. Following the success of their chart-topping 2017 debut album, the electronic duo came up with their successful follow-up EP Sick Boy at the beginning of this year. From the ‘Mammoth Main Stage’ to the iconic pool, Ushuaïa Ibiza is not known to compromise on lavish productions. But BIG by David Guetta is strikingly more extravagant than any other event. Featuring David Guetta, the most sought-after artist in the electronic music scene, tickets to his event are known to sell in a flash.